The big sky views and vistas from the southside of Boulder reveal some of the best viewpoints of the famous Flatiron formation. 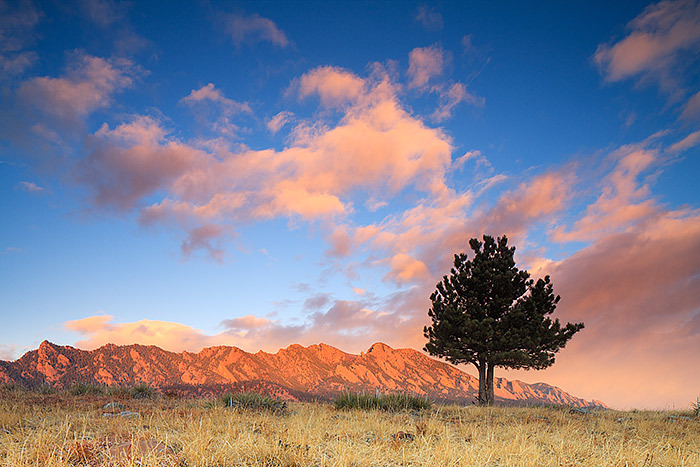 Beautiful clouds float over the Flatirons during an sunrise from the Doudy Draw Open Space. Photo © copyright by Thomas Mangan.